We have our manufacturing unit situated in the Vatva industrial area of Ahmedabad having modern production equipments. We have production capacity of 200 tons per month, with future expansion possibilities. Our VS Base Dyes production is based on spray drying technology, which is considered to be very efficient and less time consuming. We also have R.O. 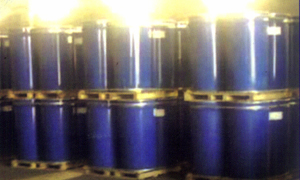 Process equipments, which strengthen our manufacturing VS Base Dye of high strength. 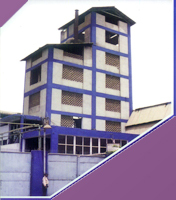 Regularly we keep in touch with modern technological development and upgrade our equipments with passage of time to meet dynamic requirement of Reactive Dye our clients. Amardeep has a total production capacity of 2400 MT Per annum. The unit is situated at Vatva Industrial Area, Ahmedabad, Gujarat, India. 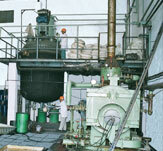 The company posses Modern Plant and equipment like Glass Lined Reactor, Rubber Lined Vessels, Spray Dryer, etc. Also company has Reverse Osmosis Plant & Brick lined Vessels along with the latest production techniques and total quality management systems deliver the best performance and International Standard Quality Product. 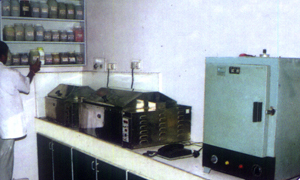 In addition to day to day quality control our fully equipped lab undertakes various development projects for customers. With Dyes technology an integral part of our technical support, our colour technicians work hand - in - hand with customers to create new products, solve problems and improve applications. Amardeep is well placed assist Industry in all areas to make colour use easier. What matter is most in any manufacturing concern is the technology that is incorporated. There in lies the secret of Amardeep phenomenal success. 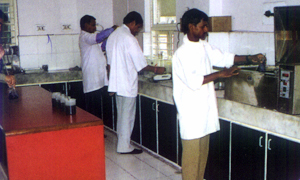 No effort is spared, monetary or otherwise, to bring in the latest state - of - the - art equipments for testing procedures. We ensure that all input comes from reputed manufacturers. We use techniques like HPLC, HPTLC and GLC to evaluate raw materials before use. Regular chemical analysis is also done to maintain our standards. The final product is also subjected to quality control test including physical and chemical analysis. All final products from the plant go through computerise colour matching tests against approved samples / standards. We can also customize Test Procedures to our customer's specifications. We have an expert packing team who takes care of packing of our finished products. We have a spacious warehouse in our plant adjoining the packing department, where we can keep up to 100 MT. of finished products at a time. This facility adds benefit to the customers, as once an order is confirmed, we are able to start production and stock the finished goods in the warehouse.